1-10: In the first part you listen to a short text once. On the exam paper you find a sentence and based on what you heard you need to determine wether this is right or wrong. 11-25: The second part gives you 4 choices and you need to choose the one fitting best to the text you hear. 26-45: And the final 20 questions, which are similar to part two, just that the dialog you listen to is a little bit longer. 46-55: Question 46-55 require you to fill the words given on the top into the gaps of the sentences on the bottom so the resulting sentence is correct. 56-65: The following questions confront you with 3 sentences you are asked to bring in the correct order so they make sense. 66-85: Finally you are confronted with short phrases, one or two related questions each and 4 answers, and you need to pick the one you think is correct based on what you read. 86-95: The first 10 tasks ask you to use the given words and build a correct sentence. 96-100: Finally you are confronted with 5 tasks consisting of a picture and a vocabulary each and you need to use the word to form a sentence which somehow relates to the picture. The maximum score for this test is 300 with 180 required to pass. The three sections listening, reading and writing account for 100 points each. The sample pictures above as well as the information where taken or derived from chinaeducenter.com. On this website you can find further information, the outline of the 1200 vocabularies as well as a mock test with mp3 needed for the listening (as part of the outline vocabulary download package). Have a look at this, it might be very helpful in the course of preparing for the test. This book contains the current list of HSK 4 words last updated in 2012. 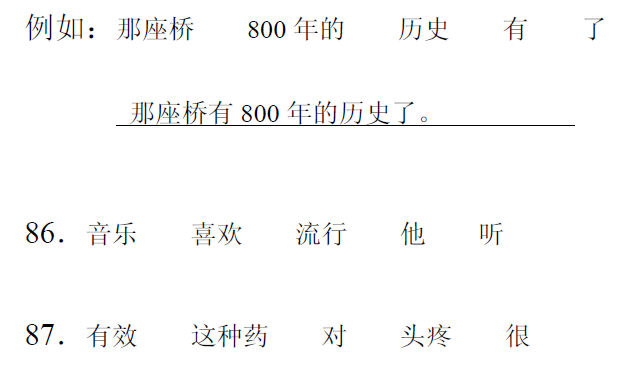 It covers HSK vocabularies 601 to 1200. All words in this book come with Pinyin, English translation and at least one example sentence helping you to not only learn the word but also understand the way it's used within sentences. This vocabulary guide contains all 5000 HSK vocabularies grouped by level starting from HSK 1 and finishing with HSK 6. 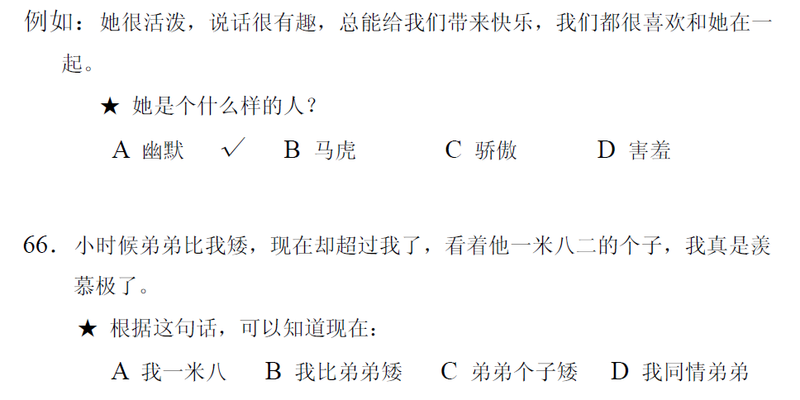 The vocabularies are based on the changes from 2012 and all come with Pinyin and English translation.